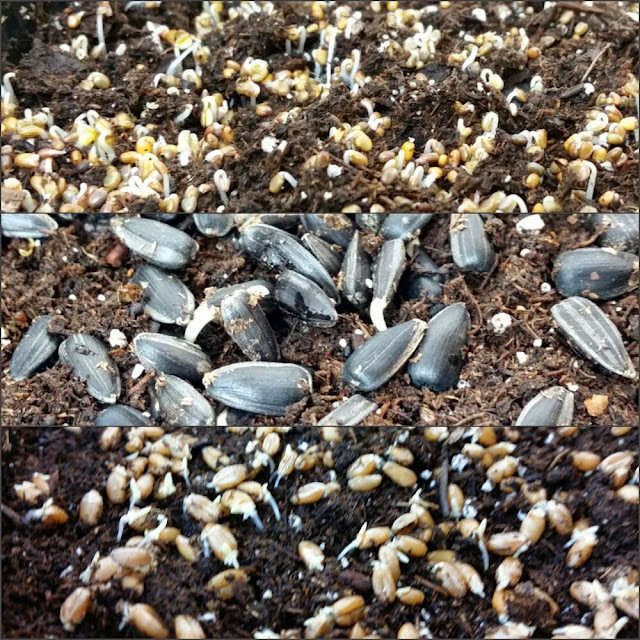 A few days ago, I posted about starting some more microgreens. I started arugula, sunflowers, and wheat (order in pic). You can see the seeds are just starting to sprout. Each day I check on them. If they are getting dry, I give them some water with my sprayer/mister; just enough to keep them moist, but not soaked. I have them on a shelf in the basement. The seed will do the work getting the plant started. They don't need light yet. I will move them closer to a window once they have some leaves.